Ultra Classic is a four bedroom OBX rental located in the Monteray Shores community of Corolla. This home features a pool and hot tub and has multiple covered and sundecks with seating and a hammock. 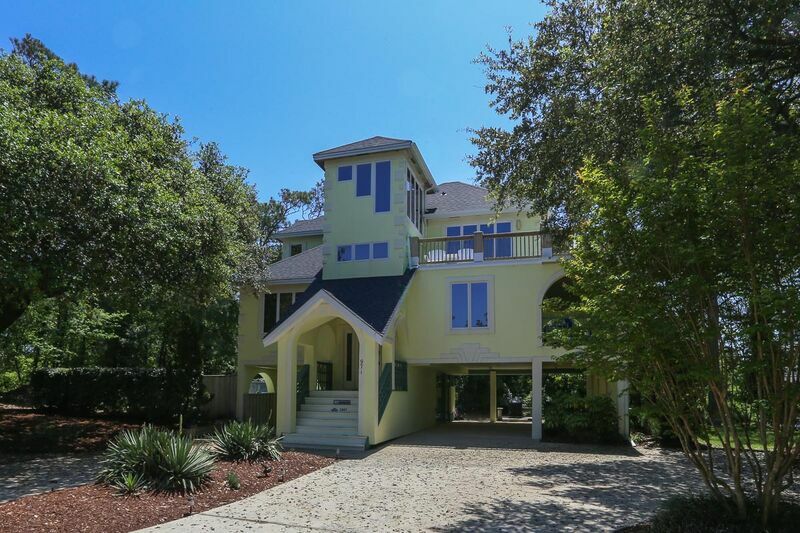 This bright and sunlit filled home is easily accessible from Ocean Trail. Ultra Classic is abounding in community amenities including a pool, tennis courts, oceanside parking, playground, jogging trails, and soundfront piers. 4 bedrooms (1 with King with TV/DVD player; shared full bath with tub and shower; 1 with King with TV/DVD player; 1 with Queen; 1 with Twins); full hall bath with shower; laundry. Living area with LCD TV/DVD/VCR player, Queen sleep sofa, stereo, dining area with seating for 6; kitchen with breakfast bar with seating for 2, raised sitting area with table with 4 chairs, powder room at landing on stairs.